Pill testing is part of a sensible approach to limiting the dangers of illicit drug use at ACT music festivals, says the ACT Government. File photo. 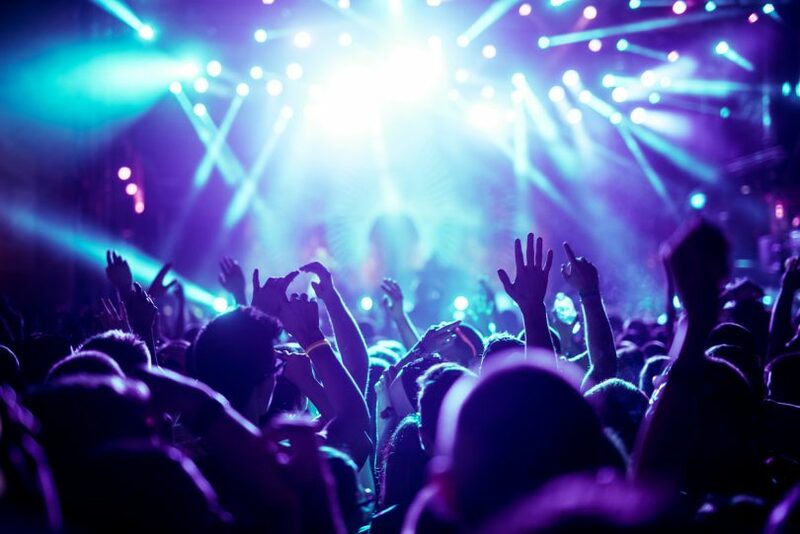 The ACT Government has confirmed that it has received a proposal for a second pill testing trial at next year’s Groovin the Moo music festival, which will be staged at Exhibition Park in Mitchell after an eight-year run at the University of Canberra. Health Minister Meegan Fitzharris welcomed the move to the Government-run facility, saying the new site would make it easier for the Government to consider the proposal from Pill Testing Australia (previously known as the STA-SAFE consortium). She said the Government would re-convene the cross-government Pill Testing Working Group, led by ACT Health, to consider the proposal. UC Vice-Chancellor Deep Saini revealed at a Legislative Assembly committee hearing last week that the festival would not be staged at the University next year, after an eight-year run. Today, festival promoter Cattleyard productions announced its dates for next year, and the move to Exhibition Park. Ms Fitzharris said: “Wherever pill testing is offered, it is crucial that the right support services are made available and proximal to service users. This is what we will be looking at in considering Pill Testing Australia’s proposal,” she said. “The Government is committed to harm minimisation, in line with the National Drug Strategy. We consider pill testing, as a component of harm reduction measures, to be a sensible approach to limiting the dangers of illicit drug use at ACT music festivals. One of the key players in last year’s trial, Dr David Caldicott, said the festival’s move to Exhibition Park gave the consortium more hope than if it had moved to Federal land, and it would now be assessing the specific needs of the new venue. He said the proposal for next year’s trial would build on this year’s success. “We certainly will be looking at making it even better than the last one,” he said. The consortium had not yet discussed the proposal with the promoter but Dr Caldicott said it would be a three-way conversation among the Government, Cattleyard and the proponent. “We want to make sure it’s done right, it’s done safely, and it’s done in such a way that the ACT cont to have the safest music festivals in Australia,” he said. Dr Cadlicott was hoping for a lot less apprehension than that surrounding the first trial but the consortium was keen to address any reasonable concerns, based on science rather than ideology. The ACT Greens have also welcomed news that the Groovin the Moo music festival will be held at Exhibition Park, with spokesperson for Drug Law Reform Shane Rattenbury saying the new site ensured that the Federal Government would not be able to jeopardise pill testing at next year’s Groovin the Moo. The National Capital Authority has thwarted bids for a pill testing trial at the Spilt Milk music festival, which is being staged on national land at at Commonwealth Park this weekend. Mr Rattenbury said the ‘successful’ trial at Groovin the Moo earlier this year marked a significant moment for drug law reform. “With pill testing in place, we acted to reduce the risk that young people would experience harm as a result of recreational drug use. The trial worked exactly as it should have – with more than 120 people approaching medical experts inside the tent to seek advice prior to consuming potentially harmful substances. At least two potentially fatal substances were discovered, and many substances were disposed of, before they caused any harm,” he said. He said the Canberra Liberals and their Federal colleagues were ignoring evidence-led policy that could, and did, save lives. Earlier this month, Mr Rattenbury wrote to Federal Health Minister Greg Hunt, reminding him that the Federal Government’s opposition to pill testing is out of step with the Commonwealth Government’s own National Drug Strategy, which cites harm reduction as one of three key means to reducing drug harm. Groovin the Moo will take place on 28 April 2019. Excellent news. A win for science and health over what is a pretty ridiculous fear campaign circulating from a very vocal and ill-informed minority. Given the weight of evidence there is probably no cause for it to be a “trial”, but politicians find trials and pilots much easier to support. Whatever, just make it happen. Oh, by the way, according to Daniel Andrews Victoria is the most progressive state. Technically he is correct – because the ACT is a territory – but whilst his government continues to reject pill testing on the say so of the police (and his strategists), the ACT is miles ahead. Kudos to the ACT Government, the ACT Greens, David Caldicott, Cattleyard Productions, and the critical mass of health care professionals, organisations, academics and individual advocates and supporters who have made this happen. Pill testing now has enough momentum to crash through the political and ideological resistance. It has majority community support already and these ACT trials are providing important local evidence. This makes me proud to be a Canberran.